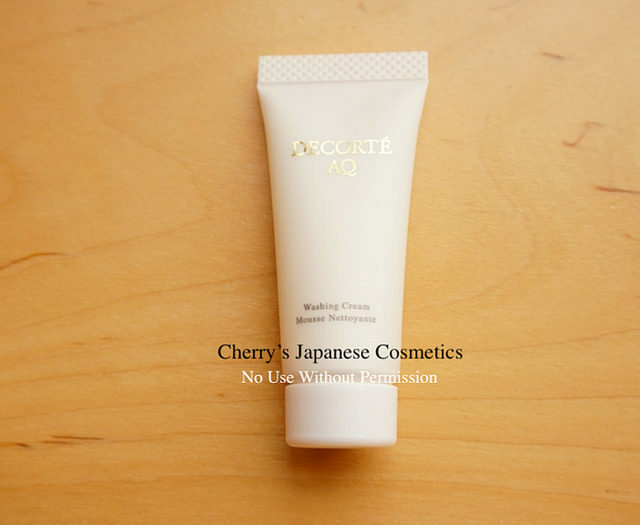 I (Cherry) got a sample of Cosme Decorte AQ Washing Cream, a face wash. Let me share with you my person al review. This kind of “foam” are so easy to make bubble. This is one of the most easy to do, as I had tried. The perfume of AQ is a flower, and this is also. I like this elegant smell. But I also know there are many of the person who dislike this strong perfume. Sometimes face washes make my face super dry afterward, but I did not feel that. I need face washes what wash my face, but I do not need things completely dry afterward. I guess for the person of dry skin, you may say this is stronger, but for me, this is not bad, indeed I want use it in Summer, not Winter. Recently I often use cream makeup removers, and my Dermatologist told me do not touch my face a lot, even washing my face. So, I do not wipe my face by cotton. I make rich foam by this face wash with mild water. 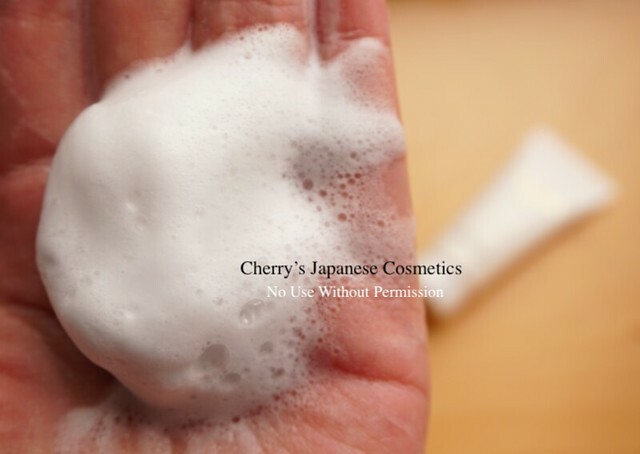 Just applying the foam and without touch my skin directly, I can remove both makeup remover dirt well. Checking what Japanese reviewers are saying, I found some are saying it cleared their black pores. I have big pores, but they are not black, and I don’t feel it cleared my pores. It will be a try worth. Please check the latest price, and order from here; Cosme Decorte AQ Washing Cream, or visit our JPY Branch!